A dog may be considered man’s best friend, but when it comes to a farmer’s best friend, it has to be a truck. That’s why we took the 2014 Chevrolet Silverado to the chicken ranch recently to make sure the cluckers had enough feed, water and protection from wandering prey. The Silverado handled the challenge like a champ, with plenty of accessible bed space to carry bags of chicken feed while we sat in the quiet comfort of the spacious, well-appointed cab. While making the trip along narrow Yankee Jim’s Road across the ravine to Foresthill, we came upon a couple of trail bikers (or rather they came upon us) who were enjoying a ride on the rough and dusty road. But while the path may have been better suited for those two-wheelers, the Silverado handled the twists, turns and bumps with grace and ease. When at one point we were faces with another vehicle coming up toward us on the single-lane roadway, the rear view backup camera provided an easy way for us to reverse into a spot wide enough to let the car pass by. Once we arrived at the ranch, the Silverado’s convenient “CornerStep” bumper and built-in handholds made for easy unloading of the feed bags and hay bales from the extra long (6-foot-6) cargo box. Had we been working in the dark — as farmers typically do — the under-rail lighting would have come in very handy as did the EZ Lift and Lower tailgate that glides flat when opened. The Silverado 1500 offers three all-new EcoTec3 engines: a 4.3-liter V-6 with 285 horsepower; a 5.3-liter V-8 with 355 horsepower; and a new 6.2-liter V-8 that produces 420 horsepower. EcoBoost provides fairly impressive fuel economy estimated at up to 23 mpg highway for the 2WD models, the best of any V-8 pickup on the market. 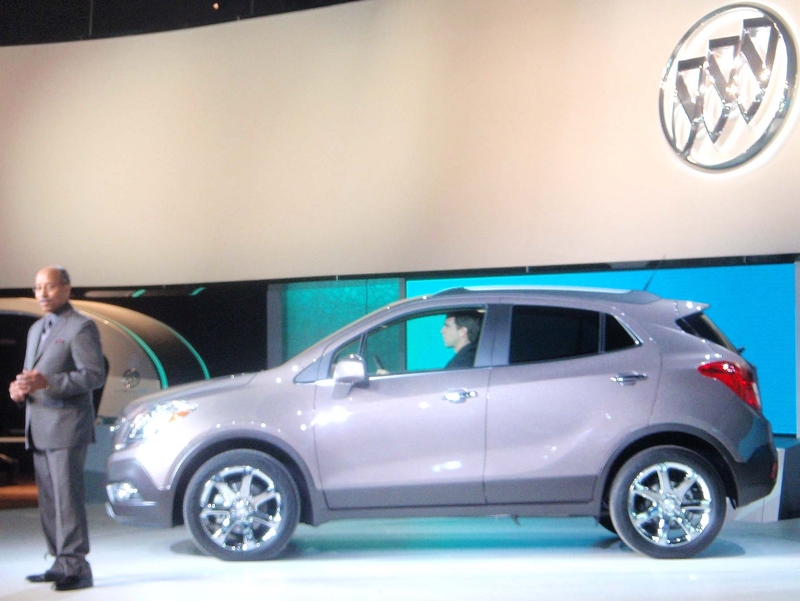 The base price for the 1500 starts at $23,590 (plus $995 freight charge) while the crew cab with 5.3-liter EcoTec3 V-8 starts at $33,195. All this adds up to a great work truck. 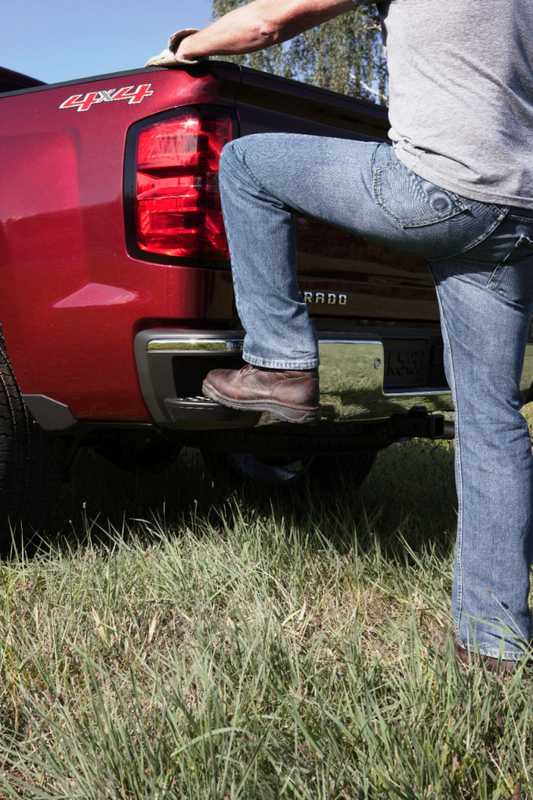 Perhaps that’s why the Chevy Silverado was named the 2014 North American Truck of the Year. Like many American families of the 1960s and ‘70s, we owned a Chevy Impala. It was my mom’s car, sky blue in color, and served as the workhorse of the family. Daily trips to school, work, the store and a multitude of sports activities for me and my two brothers, would all be accomplished in the Impala. Everywhere we ventured, the Impala got us there safely and comfortably. That car was part of our family. 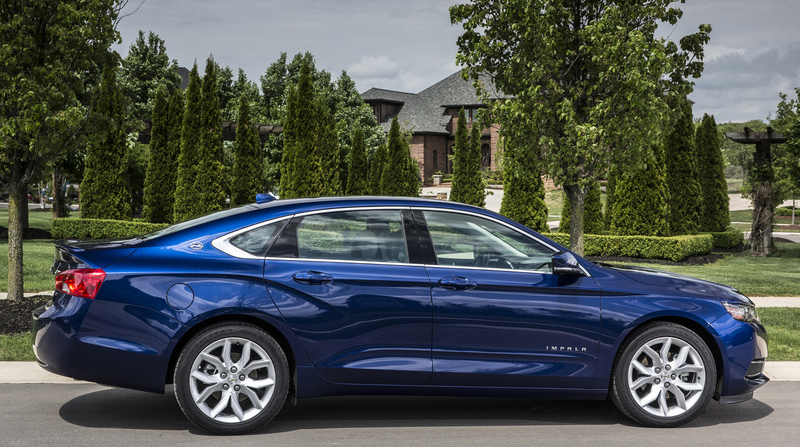 This year, Chevrolet is celebrating the 10th generation of this iconic, full-size family sedan by rolling out a completely redesigned version of the Impala. 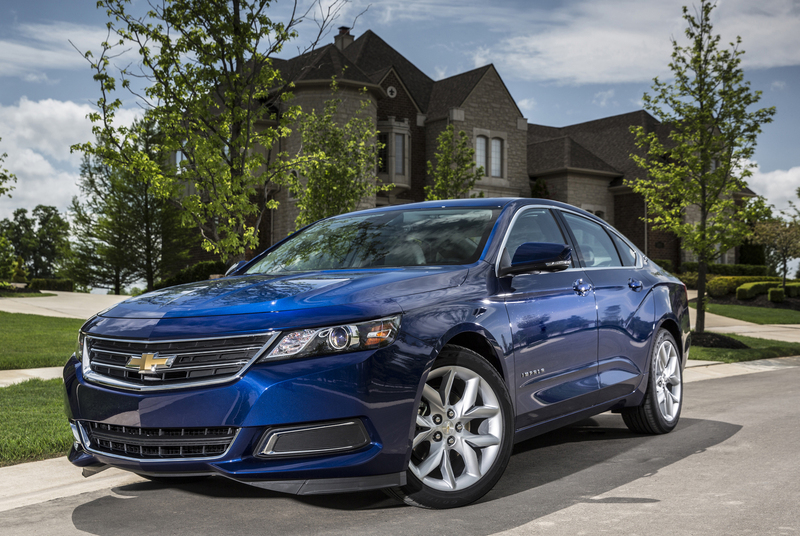 As the nation’s top-selling full-size sedan since 2004, the Impala continues to serve families with the same reliability and safety that it has for decades, and the model’s rebirth clearly emphasizes those priorities, and more. We caught up with Russell Clark, director of product marketing for Chevrolet, at the Hyatt Regency in Monterey, CA, and learned that the 2014 Impala is not only stylish, powerful and fuel efficient (up to 35 mpg), but it incorporates an amazing array of technology features to help keep today’s families connected without compromising safety. Here are some highlights that parents will appreciate. The Impala has 10 standard air bags with available full-speed-range adaptive cruise control, collision mitigation braking, forward collision alert, lane departure warning, side blind zone alert, rear cross traffic alert, rear camera and rear-park assist. The MyLink system features a smartphone-inspired interface with icons connecting the phone, music, navigation and other devices. 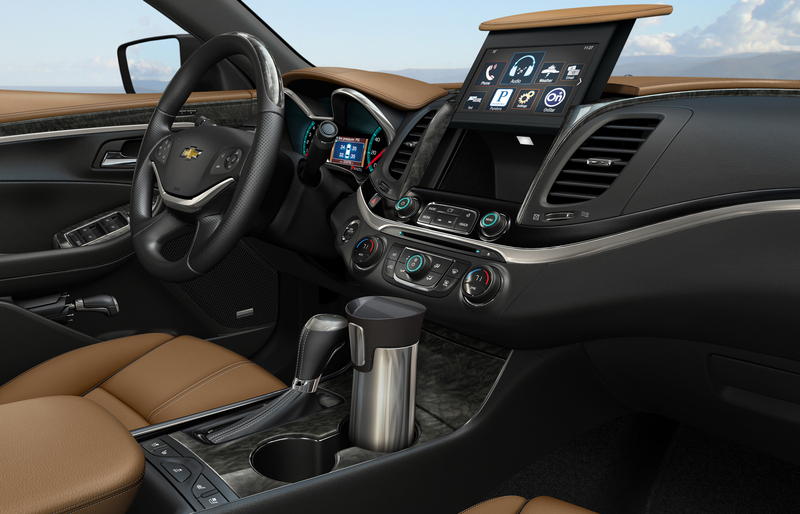 Everything can be customized to appeal to the individual driver, and Chevrolet’s first use of natural language voice recognition allows customers to safely place calls, enter destinations, browse media, play music and control other functions simply by telling the vehicle what to do. Of course, none of this techie stuff would have made any sense to us back in my childhood. We just wanted to get to the ballgame. And we did thanks to my mom . . . and our Impala.